Smith Construction are firmly established specialist construction and civil engineers operating in a radius from Milton Keynes to include Buckinghamshire, Bedfordshire & Northamptonshire. Many years of experience as Civil Engineering Contractors, particularly infrastructure works, means that we are able to offer our clients a complete and comprehensive Civil Engineering package. 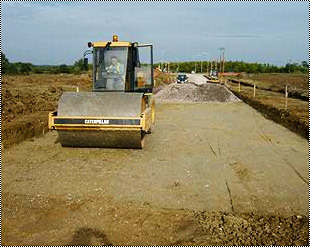 Our Experience & Professionalism has equipped us with the skills to cover the complete Earthwork’s spectrum. 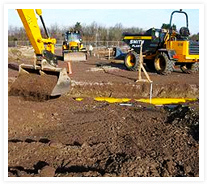 We provide a complete groundworks package from inception to completion. 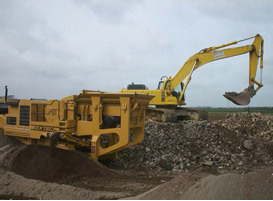 Our exclusive tipping rights mean we are able to provide a total service from excavation to waste disposal. 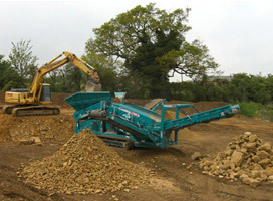 Our earthworks and bulk muck shift operation is a totally combined earth moving package. 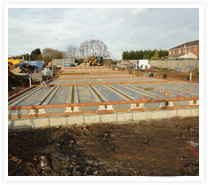 All aspects of groundworks are provided, including substructures, drainage and external works. 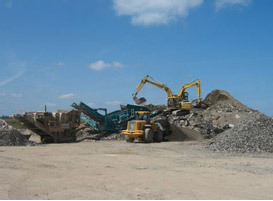 Utilising our own fleet of modern earthmoving equipment and a vast range of expertise and resources enable us to tackle anything from small scale minor works, to major commercial or industrial projects. 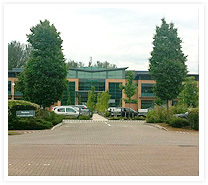 Providing Milton Keynes and surrounding areas with a highly skilled, and accredited workforce. Excellent project management skills ensure our client deals with a single point of contact to optimise project timescales and budget. We have earned our strong reputation as industry professionals in this area by providing a complete groundworks package from inception to completion. Please feel free to get in contact with us if you require any more information about groundworks or any of the other services we offer including concrete services, aggregates, muck away, or earthworks. The development will provide office accommodation for Network Rail staff for 2700 people, including support facilities such as meeting rooms and catering. 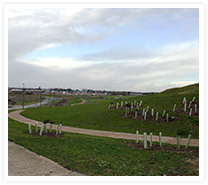 Smith Construction has been involved in two phases: the first was all the enabling works and infrastructure drainage, the second phase is the external works which consists of service ducts, block paving, channel drainage, section 278 works and street furniture. 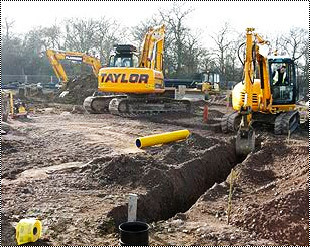 Construction of two large industrial units including bulk earthworks, drainage, pumping stations, storage tanks with associated service yard and car parking. 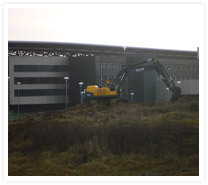 The development consists of a new 4 storey office block approx 42,000ft of floor space, together with associated bulk earthworks, in-situ reinforced concrete foundations, attenuation features, drainage, car parking and landscaped areas. 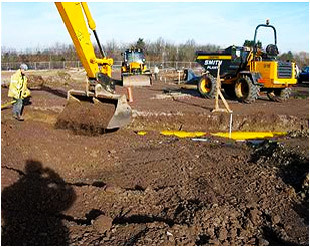 Many years of experience as Civil Engineering Contractors, particularly infrastructure works, means that we are able to offer our clients throughout Milton Keynes, Buckinghamshire, Bedford & Northants a complete and comprehensive Civil Engineering package. From our Estimating Department, who can produce competitive tenders from either Bills of Quantities or Drawings and Specification, through to our skilled and qualified workforce with highly experienced site managers, you can be sure that your project is in the best hands. Our Civil Engineering client base is testimony to the quality and standard of work produced. With this background of expertise, our specialist civil engineering contracting divisions are adept at recognising problems at an early stage and can flag up any potential design issues or changing conditions and work with the client to resolve them. 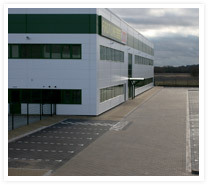 Job located adjacent to the M1 motorway near junction 14 on the south access route A509 road. Works are to construct a new attenuation earth ridge which is 1300m long 65m wide at the base and 12m in height to crest along with associated minor engineering works and landscaping works. 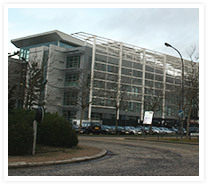 This project won the CIHT/TRL Environmental award 2010.